Home » School News » April 10: Open House! Attend our Open House on Wednesday, April 10th from 5:00-7:00pm. All are welcome to tour the school and see the facilities. 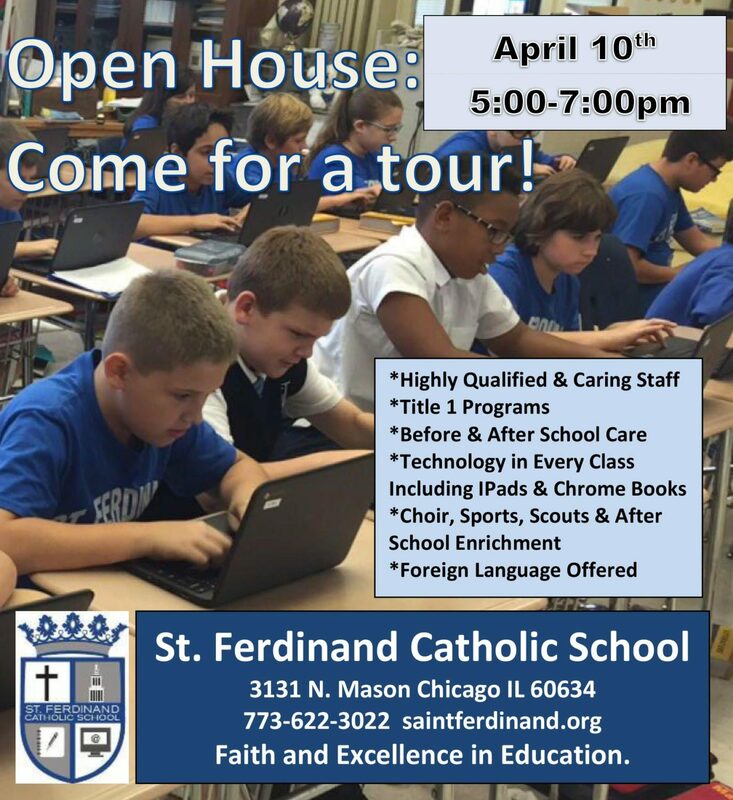 St. Ferdinand is accepting enrollment for the 2019-2020 school year for students in all grades, preschool age three through eighth grade.